Gold coins like this 1/10th ounce coin (currently worth about $150) make convenient ways of exchanging widely accepted value as part of buying and selling items. This is the sixth and final part of our series about prepping economics. An index listing the previous sections is at the bottom of this article, and if you’ve arrived here directly by following a link, you might want to consider starting at the beginning and then working your way through the articles in sequence. We’ve written before to recommend you should stock up on long-lived supplies that are easy to store and have a high value per cubic foot of storage space – both for your own needs and then, beyond that, as trading goods. In the previous part of this series, we recommended having a stock of energy generating equipment as a trading good, too. Essential supplies will skyrocket in value in a Level 2 or 3 situation. Never mind what you might barter or trade/exchange them for, the key thing is that if you have valuable things, you’ll be ‘wealthy’ in such situations. But there will be times when you need to buy things and you can’t trade things you already have for what you want to get (because they guy selling what you need has no interest in the things you have for sale). In such cases, a supply of gold would probably be our first choice as an alternate form of wealth/value to use for trading. Frankly, we’d prefer silver, but gold is more likely to be universally accepted. Gold and Silver – Which is Best? The problem, such as it is, with gold is that at current prices, even a small piece of gold is worth a lot of money. A single ounce is about $1500 at present, and even a tenth of an ounce is therefore $150. Although there are some ridiculously small gold ‘bars’ all the way down to 0.1 gram pieces (about 1/300th of an ounce, with about $5 of gold in it) the problem with these small-sized pieces is that the cost of production adds greatly to the cost. For example, on the same day that we could buy a kilogram of gold for $46,583.08, a single gram was selling for $58.83. So $46.58 of the $58.83 relates to the value of the gold, but the other $12.25 relates to the cost of processing the gold to the smaller value piece. That’s a large surcharge – more than 25%. On the other hand, a 100 ounce silver bar is selling for about $2520, and a one ounce round is selling for $25.74. The value of the silver in the one ounce round is therefore about $25.20, so you’re paying a much smaller premium for the convenience of a low denomination piece of money (about 2% instead of 25%). Furthermore, the $25 silver round is a sensible sized coin, weighing an ounce. The 1/30th ounce (ie 1 gram) $50 piece of gold needs to be protectively housed inside a plastic case and is tiny and fragile (and easily lost). And a tiny 1/15th gram piece (about $10 in value) measures a mere 0.1″ x 0.2″ – little bigger than a fleck of dust. For low to moderate sums of money, silver coins just make better sense than gold coins. Our guess is that people will fix on the desirability of gold and have a better understanding of gold prices. They may not have as clear a perception as to what silver is worth, and so silver values might vary more unpredictably than gold values. On the other hand, maybe most communities will have an exchange where a dealer will buy and sell gold and silver and convert it consistently based on that local community’s economic balance. So perhaps you should have some one ounce silver rounds for lower value trading (currently about the same as $25), and some 1/10th ounce (or 2.5 gram) gold bars for higher value trading (currently about $150). Generally you can choose various different forms of silver and gold bullion, and different issuers. Some forms are official coins, others are just plain bars and ’rounds’ ( a term used to describe things that look like coins, but which have no official monetary value in any country). There are slight differences in the different types of bullion and where they are made, but sometimes big differences between bullion and officially issued coins (the official coins being more expensive). Some coins are also valued much higher due to having collector/rarity value. Rarity value and collector appeal may be a factor in today’s current valuations, but in a post-collapse economy, gold and silver will be simply worth what it is worth, based on the weight of the metal alone. Any rarity or collector value will be erased. That’s not to say that there might not be small differences in values. If something looks more impressively official and credible, it might be slightly preferred and have a slightly higher value. If you think that sounds far-fetched, we’ve traveled in countries that will pay more if you are exchanging crisp new unmarked unfolded US $100 bills than if you are exchanging older worn marked ones. Sure, in the US, all $100 bills are worth the same, but in some other countries, the more worn it becomes, the less valuable it is. So our guess is the best types of bullion are ones with lots of official stamps and seals and assay marks on them, making the items appear more official and more reputable. What about diamonds and other precious metals? Should you invest in those, too? We don’t think diamonds are a good investment, because it requires specialty knowledge to assess the value of a diamond. This makes it is much harder to predictably trade in diamonds than in gold. Within reason, if you have an officially marked piece of gold bullion, then its value and quality is self-evident for all to agree upon. But with a diamond, who is to say how it scores on the four or five ‘C’ scale (cut, color, clarity, carat and quality), and even if you can agree on its rating, there is no common value ascribed to each aspect of the rating. Furthermore, the scales aren’t linear. A two carat diamond is worth more than a one carat diamond (assuming the other factors are the same), for example. Diamonds are also not a ‘liquid’ form of investment – in other words, it is hard to find someone to buy your diamonds when you want to sell them. With gold, the transactional cost of buying and selling it is reasonably low, but the cost of buying or selling a diamond can be very high – you might be lucky to get half its notional value when you sell it. There are lots of other precious metals, but some of these are more properly described as ‘expensive’ rather than precious, and their value relates to their scarcity compared to society’s consumption of them in (typically high-tech) manufacturing processes. Such value premiums would disappear when the manufacturing stopped (ie in a Level 2/3 crisis). The only other moderately common metal for investing is platinum. We occasionally see palladium investing too, but ask yourself the question – if someone approached you with a palladium bar, would you know what it was or what it was worth? Probably not! The same is also substantially true of platinum. Platinum is currently trading at prices very similar to gold, which begs the question – why trade in platinum when you can as readily trade in gold? In terms of popularity, everyone understands and likes gold, many people understand and like silver, but almost no-one understands or likes palladium (do you even know what color it is? ), and somewhere between silver and palladium you’ll find platinum. Keep it simple. Get gold as your first choice, and silver as your second. The only other things you should be investing in are ‘real’ things – stores of goods, rather than abstract representations of money/value such as precious metals. Note that gold is weighed in either grams or troy ounces. A troy ounce is not the same as a ‘regular’ ounce. There are 16 regular ounces in a regular pound (also termed avoirdupois), with a pound weighing 453.6 grams and a regular ounce weighing 28.35 grams. 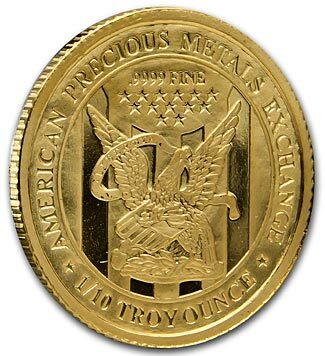 There are 12 troy ounces in a troy pound. A troy pound weighs 373.2 grams, and a troy ounce weighs 31.10 grams. Make sure you understand what type of ounces you are dealing with, and don’t be tricked to weigh gold with a regular set of scales, because a regular ounce is about 10% lighter than a troy ounce. Note also that gold bullion is 99.99% pure gold, also termed 24 carat. Most jeweler’s gold is mixed with other metals to make it stronger, and perhaps also to make it cheaper. It is common to see gold jewelry with purity levels from 22 carats down to 10 carats, so if you are dealing in gold jewelry, you need to understand not the weight of the item, but how much of the item’s weight is actually valuable gold, compared to comparatively worthless ‘base’ metals. Note that jewelry is commonly sold for a great deal more than the underlying value of the gold in it. This represents its value as a crafted item of beauty. But its underlying value, for gold bullion trading purposes, is only that represented by the raw gold in the piece, with no allowance given for beauty or anything else. On the other hand, gold coins usually have a very low value stamped on them. A US Double Eagle coin, for example, shows a face value of $20. But it has 0.9675 ounces of gold in it, so its value as bullion is much greater – about $1450 today. The more modern Gold Eagle coin shows a value of $50 on it, but it contains 1.0909 troy ounces of gold, which is valued at about $1640. You can buy gold and silver on eBay, on specialty websites, and direct from retail stores, pawn shops, and a miscellany of other places too. You can even attempt buying metal directly from people (ie old jewelry in particular) by placing ads on Craigslist and other similar places. The first thing to be sure of is that you want to have the actual physical ownership of the metal you are buying. Some investment oriented companies are designed so that you never need to go to the expensive bother of having the metal shipped to you, of having to then safely store it, and the subsequent expensive bother of having to ship the metal on to whoever you sell it to in the future. Some of these companies at least designate specific pieces of real gold as being yours, others give you notional ‘paper gold’ rights, exposing you to great liability if the company does not or can not honor your gold rights in the future. If you are a gold trader, these arrangements are excellent. But, you’re probably not a gold trader. You’re a gold investor and hopefully a gold owner. WTSHTF, how likely do you think it is that you’ll be able to call your investment broker and ask them to ship you the gold you own but which is stored on the other coast (or even in a foreign country)? That’s truly not going to happen, for lots of different reasons, all of them bad! Now, about the other places where you can buy gold and silver. You need to be sure that your funds are not at risk – in other words, the ideal situation is you handing your cash to the person you’re buying the metal from at the same instant they hand the metal to you. That way, there’s no risk to you. If you are dealing with a company in another state, they will of course want to get your money before they send the metal to you, and if you are paying by personal check, they’d be very prudent to wait until your check had cleared. But think about that – they don’t even start to activate their ‘we’ll send you your gold real soon now’ promise until after you’ve lost any chance of stopping the payment you sent them. You then have to anxiously wait until the product not only ships but eventually arrives safely. Lots of people do this every day, of course, we’re simply saying be careful to choose a reputable dealer when you’re buying metal on this basis. Every day, the spot price for gold and silver is posted, and that is used as a base for most bullion sales. However, you’ll quickly notice that you can almost never buy gold and silver at this price – you usually pay a little more, and you can also almost never sell gold and silver at this price – you usually get a little less. That’s much the same as buying foreign currency – there’s a buying and selling rate, and sometimes other fees as well. This stands to reason when you think about it. How would the gold dealer you bought your bars from make money if he didn’t add some sort of extra sum to the underlying cost price of his gold? Plus someone has to pay for the gold to be insured and shipped to you, too. If you are buying smaller pieces – for example, one tenth of an ounce bars – the manufacturing costs to make those bars are much more appreciable than then are for a 400 ounce bar. Of course it takes much more cost to make 4,000 small things than it does to make one large thing. There is definitely an economy of scale concept that applies to gold. Bigger bars have an underlying cost per ounce that is closer to the notional posted price per ounce. The economy of scale concept also applies to buying in bulk. If you buy ten or one hundred bars or rounds, you’ll probably get a better price than if you just buy one. The dealer probably takes no more time to process an order for one hundred bars as he does for one, and the shipping isn’t one hundred times more expensive, and so on. Our point is that you shouldn’t feel that you’re being taken advantage of when you pay over the posted price per ounce for your gold. Yes, you want to pay as little over the posted price as possible, but you need to realize that you will pay some amount more. Generally the best thing to do is to buy large quantities on fewer occasions, but an exception to that might be if gold is doing one of its crazy climbs in value – in that case you might want to buy more regularly – indeed, you might agree with your dealer that you’ll buy small amounts of gold regularly, but at a higher volume price to reflect your ongoing purchases, and only shipped to you on occasion rather than every time, so as to save on shipping too. Remember, everything is always negotiable, even the price of gold from your favorite dealer. Now, although we’ve said you should expect to pay a little more than the underlying gold cost, you don’t want to go crazy and happily pay a lot more than the underlying gold cost. We’ve seen eBay auctions that are selling gold at ridiculous surcharges – they hide the true cost of the gold by quoting in grams rather than in ounces, and they talk about lots of pieces of gold and many grams, all for ‘only’ whatever the total price is. For example, currently there is one auction listing selling ten miniature bars, each weighing 1/15th of a gram. The total value of these ten pieces is $31.30, and the asking price is $200. Do your sums. Work out what the true cost of the gold is in dollars per ounce. You might be astonished (remember there are 31.10 grams of gold in a troy ounce when converting from grams). We don’t know if this ever happens, but if you see gold being sold by the ounce, make sure it is by the troy ounce, not the avoirdupois (or ‘normal’) ounce. An avoirdupois ounce is lighter than a troy ounce (there are 28.35 grams in an avoirdupois ounce). All gold bullion is marked with its weight, and its weight is expressed in grams or troy ounces, But if you have a dealer telling you ‘I have some 1.1 ounces bars of gold’ probably he has converted the troy ounces into avoirdupois ounces, so as to make it seem like you’re getting more gold, and he is hoping you won’t know the difference. Or he might say ‘I have some 25 gram bars, which work out to be 0.88 ounces’ and he has converted to avoirdupois ounces, again to inflate the apparent value of the gold (the weight of the 25 gram bar in troy ounces is 0.80 ounces). One last thing. Most of your purchases should be of fairly low value individual pieces of metal, so as to make it easier to trade with them. Don’t be like the guy who goes into a 7-11, or tries to pay for a short cab ride, with a $100 bill. Try not to pay too much of a premium for smaller sized pieces, and certainly, minimum values of $25 – $50 are probably fine, but the flip side of paying a little more for lower value pieces now is that they will probably be worth more in the future, for the same reason they are worth more to you now – they are more convenient to trade with. We generally advise against buying jewelry and other gold scrap (for example, computer circuit boards and connectors). The first problem you would face is being able to assess the value of such pieces – unless the gold is stamped to show its purity, how can you be sure what the gold content is? Then there are the costs and hassles in taking such things and turning them into exchangeable gold bullion. Even if you can melt down and refine the gold to 99.9% or better purity, you still need to get an official assayer’s stamp on it to prove its purity and weight. We like gold and silver, and wish we had more of it ourselves. But we also like food, water, shelter and energy, and so our first priority has been to build up our supplies of the things we’ll directly immediately need ourselves in a Level 2/3 situation. Only as we grow more comfortable about the adequacies of our immediate needs do we then start adding some gold and silver to our supplies. We know that no matter how thoroughly we prepare, there will inevitably be other things we need, or repairs we need having done, and/or other services we will also need to buy and pay for, so some gold and silver is definitely a good thing to have on hand. We don’t know for sure, but our guess is that food and other vital supplies will go up in value much more than gold will WTSHTF. So while we agree that holding supplies of gold is a better way to protect your wealth than is holding supplies of cash or intangible wealth such as stocks and bonds, we feel the best form of investment is to have an abundance of essential supplies, to simultaneously improve your own chance of surviving and living comfortable, and to give you trading materials that will be future-inflation-proof. When you do buy bullion, there are risks you need to prudently minimize, and there are huge variations in cost depending on the size and amount of product you are buying. Read the Entire Article Series…. Both the American gold eagle and the kruggerand are made of ‘coin gold’ 22k. So while an eagle weighs 1.09 ozs, it is exactly one ounce of gold, contrary to what the article says. The balance of the weight is silver and copper to harden it. The Canadian maple and the American buffalo are virtually pure gold (and therefore much softer and more easily deformed). *medical (first aid & trauma as well as longer term, more general scenarios over longer term. *defense & weaponry. not just guns though. guns are important, though overrated. i picture *knowledge of martial arts becoming exceedingly valuable in a scenario where guns are seized wholesale, where one needs to “go into town” in a government controlled area, or for that matter, if one is detained/jailed. similarly, the ability to create non-firearm lethal weaponry/explosives would be a wise skill to acquire. having a stock of gold/silver/etc will be good for an argentina type of scenario. though i have to point out that their crash happened in late 2001. ultimately, the person who makes it through that scenario most comfortably is the one who has tradeable skills that others are willing to trade their own gold/silver/food/water/ammo/coffee/etc for. of course, some of this depends on what scenario we are really headed for: red dawn? buenos aires? beirut? bosnia? zimbabwae? hurricane sandy/katrina? excellent articles/website. thank you to those who put it together.